The Senate took a crucial step Thursday to making sure that, among other things, the hungry are fed, farmers have crop price protections and land is preserved beyond Sept. 30 — that is, the day the farm bill expires. There’s a long-forbidden crop on the verge of legalization, one that’s versatile and could open up new markets for farmers: hemp. Thursday had all the makings of deja vu for the U.S. House’s farm bill draft: immigration concerns, uncertain Republican votes and a wall of Democratic opposition to changes in the main federal food aid program. In the end, the chamber avoided a repeat of May’s failure, when members of the conservative Freedom Caucus wanted to deal with immigration first. But the farm bill passed Thursday — narrowly, 213-211. Still, 20 Republicans voted against it, as did every Democrat in the chamber. The Senate Agriculture Committee unveiled its version of the farm bill Friday, including a path to legalizing industrial hemp. That’s an effort being pushed by Senate Majority Leader Mitch McConnell, whose state, Kentucky, is a leader in the crop. Some conservative House Republicans made it clear Friday in voting down the 2018 farm bill: They’re not interested in a farm bill without working on immigration first. Thirty Republicans and every Democrat voted against the farm bill, which failed 198-213 in the full House. The farm bill traditionally is a bipartisan effort, but House Republicans’ proposed changes to the main federal food-aid program in this year’s version have struck a nerve. 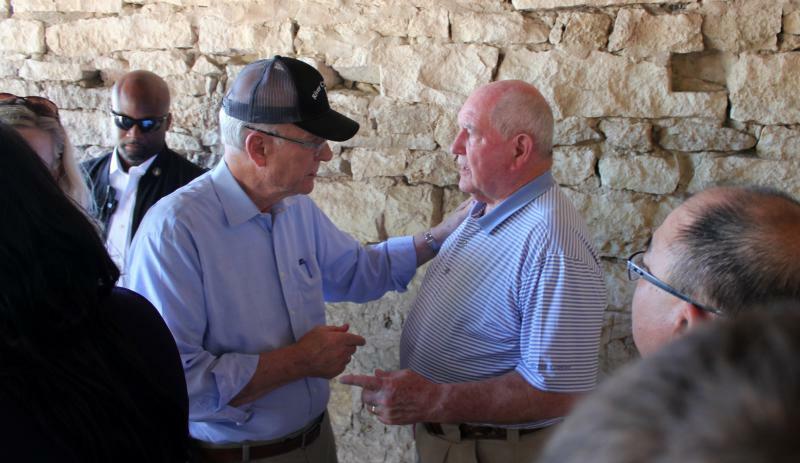 To move it through efficiently, Agriculture Secretary Sonny Perdue says he’ll appeal to President Donald Trump. Two women wheel a grocery cart across the parking lot to a white van, open the door and shove kids’ toys out of the way. In the small city of Fort Morgan, Colorado, 33-year-old Verónica delicately stacks cans of food into her mini shopping cart, strolling the narrow aisles of the Rising Up food pantry to gather eggs, milk, apples and an extra-large box of cereal. There’s a Republican-authored proposal in the next farm bill that would require millions more people to work or volunteer in order to receive federal food assistance.